[S1469] Lafayette Journal and Courier, Lafayette, Ind., online at http://www.newspapers.com, 20 Jun 1945, p. 14, col. 3 (naming Aubrey Loop as her father). [S1469] Lafayette Journal and Courier, Lafayette, Ind., online, above, 20 Jun 1945, p. 14, col. 3 (obituary for Judith Ann Loop) (stating that she was eight years old when she died on 19 Jun 1945). [S1469] Lafayette Journal and Courier, Lafayette, Ind., online, above, 20 Jun 1945, p. 14, col. 3 (obituary for Judith Ann Loop). [S1469] Lafayette Journal and Courier, Lafayette, Ind., online, above, 20 Jun 1945, p. 14, col. 3. Note*: • He served in the U.S. Army in Colorado. • He was a volunteer fireman at Hockessin (Del.) Fire Company since 1955. • In 1959, he and his brother, Herbert, opened Hockessin Exxon, which they operated until he retired in 1989. • He was a member of Red Clay Creek Presbyterian Church in New Castle County, Delaware since 1962. [S961] Find A Grave, online at http://www.findagrave.com, memorial for George T. Press, memorial no. 9103274, viewed on 6 Aug 2018 (giving the date but not the place). [S1379] The News Journal, Wilmington, Del., online at http://www.newspapers.com, 22 Nov 1994, p. B4 (p. 15), cols. 4-5 (obituary for George T. Press) (naming the place but not giving the date). [S1474] Evening Journal, Wilmington, Del., online at http://www.newspapers.com, 3 Jun 1963, p. 14, col. 1 (wedding announcement of Sandra Helena Naudain and George Thomas Press). [S1379] The News Journal, Wilmington, Del., above, 22 Nov 1994, p. B4 (p. 15), cols. 4-5 (obituary for George T. Press) (stating that he died of cancer). [S961] Find A Grave, online, above, memorial for George T. Press, memorial no. 9103274, viewed on 6 Aug 2018 (not giving the date). [S1379] The News Journal, Wilmington, Del., above, 22 Nov 1994, p. B4 (p. 15), cols. 4-5 (obituary for George T. Press). [S1379] The News Journal, Wilmington, Del., above, 22 Nov 1994, p. B4 (p. 15), cols. 4-5 (obituary for George T. Press) (first bullet). [S1379] The News Journal, Wilmington, Del., above, 22 Nov 1994, p. B4 (p. 15), cols. 4-5 (obituary for George T. Press) (second bullet). [S1379] The News Journal, Wilmington, Del., above, 22 Nov 1994, p. B4 (p. 15), cols. 4-5 (obituary for George T. Press) (third bullet). [S1379] The News Journal, Wilmington, Del., above, 22 Nov 1994, p. B4 (p. 15), cols. 4-5 (obituary for George T. Press) (fourth bullet). [S1379] The News Journal, Wilmington, Del., above, 22 Nov 1994, p. B4 (p. 15), cols. 4-5 (obituary for George T. Press) (fifth bullet). [S1475] Algona Kossuth County Advance, Algona, Iowa, online at http://www.newspapers.com, 1 Mar 1962, p. 15, col. 1 (under "Local Topics") (referring to Ruth as Earl's wife). [S1475] Algona Kossuth County Advance, Algona, Iowa, above, 1 Mar 1962, p. 15, col. 1 (under "Local Topics") (stating that she died from complications after gall bladder surgery). [S1475] Algona Kossuth County Advance, Algona, Iowa, above, 1 Mar 1962, p. 15, col. 1 (under "Local Topics"). [S1475] Algona Kossuth County Advance, Algona, Iowa, above, 1 Mar 1962, p. 15, col. 1. 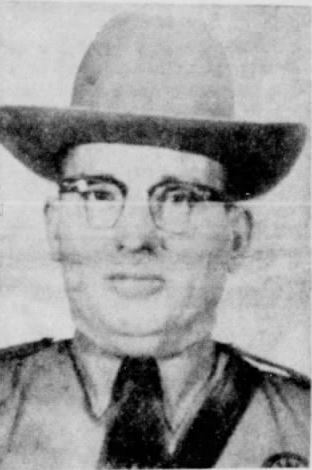 Naudain, Starr, Texas highway patrolman, from 1968 newspaper. [S961] Find A Grave, online at http://www.findagrave.com, memorial for Naudain Starr, memorial no. 30678407, viewed on 26 Jul 2018 (naming James Monroe Starr as his father). [S961] Find A Grave, online, above, memorial for Naudain Starr, memorial no. 30678407, viewed on 26 Jul 2018 (naming Della Starr as his mother). [S961] Find A Grave, online, above, memorial for Naudain Starr, memorial no. 30678407, viewed on 26 Jul 2018. [S961] Find A Grave, online, above, memorial for Thelma Cross Starr, memorial no. 30678417, viewed on 26 Jul 2018. Other Names*: Thelma Cross Starr, Thelma Starr. [S961] Find A Grave, online at http://www.findagrave.com, memorial for Thelma Cross Starr, memorial no. 30678417, viewed on 26 Jul 2018. [S1478] Shedd Web Site, online, https://www.myheritage.com/site-241967401/shedd, viewed on 27 Jul 2018 (naming Abner Adams as his father). [S1478] Shedd Web Site, above, viewed on 27 Jul 2018 (naming Elizabeth A. Fortson as his mother). [S1478] Shedd Web Site, above, viewed on 27 Jul 2018. Marriage*: She married William Harrison Harper ('Sheriff Bill') Adams, son of Abner Adams and Elizabeth A. ('Betsy') Fortson. Other Names*: Eliza Teasley Adams, Eliza Catherine Adams, Eliza Pricilla Adams, Eliza Livonia Adams, Eliza Catherine Teasley, Eliza Pricilla Teasley, Eliza Livonia Teasley, Eliza Adams. • Heer Find A Grave memorial, which includes her obituary and a picture of her tombstone, is here. [S961] Find A Grave, online at http://www.findagrave.com, memorial for Eliza Livonia Pricilla Catherine Teasley Adams, memorial no. 96234416, viewed on 27 Jul 2018. [S27] John Wright Boyd, A Family History: Lt. Thomas Fortson (1742-1824) and Some of His Descendants—Early Settler of Elbert County, Georgia (Danielsville, Ga.: Heritage Papers, 1973), p. 225 (naming Eliza Teasley as his mother). Other Names*: Sarah Cleveland, Sarah Antoinette Cleveland Adams, Sarah Cleveland Adams, Sarah Antoinette Adams, Sarah Adams. [S961] Find A Grave, online at http://www.findagrave.com, memorial for Sarah Antoinette Cleveland Adams, memorial no. 44202870, viewed on 27 Jul 2018. [S961] Find A Grave, online, above, memorial for Richard Easton Adams, memorial no. 44202862, viewed on 27 Jul 2018. [S961] Find A Grave, online, above, memorial for Willis B. Adams, memorial no. 44202881, viewed on 27 Jul 2018 (naming Sarah Antoinette Cleveland Adams as his mother). [S961] Find A Grave, online, above, memorial for Sarah Antoinette Cleveland Adams, memorial no. 44202870, viewed on 27 Jul 2018 (naming Susan Antoinette Cleveland Adams as his mother). "Elberton, Ga., February 11 .—(Special. )—Colonel W. B. Adams died Tuesday morning at 2 o’clock. He will be buried here Wednesday morning at 11. He was 50 years old and is survived by his wife and daughter. "Elberton, Ga., February 12 .—(Special. )—The funeral of Hon. Willis B. Adams, who died early Tuesday morning, was held here today. The procession following the body to the grave was the longest ever seen in the county. It was made up of the entire public school body. Elbert Light Infantry, of which the deceased was captain many years, and the general public. Ex-Congressman W. M. Howard, a life-long friend, was one of the prominent attendants. The floral offerings were extra large and exquisite. [S961] Find A Grave, online at http://www.findagrave.com, memorial for Willis B. Adams, memorial no. 44202881, viewed on 27 Jul 2018 (naming Sarah Antoinette Cleveland Adams as his mother). [S961] Find A Grave, online, above, memorial for Willis B. Adams, memorial no. 44202881, viewed on 27 Jul 2018 (naming Richard Easton Adams as his father). [S961] Find A Grave, online, above, memorial for Richard Easton Adams, memorial no. 44202862, viewed on 27 Jul 2018 (naming Richard Easton Adams as his father). [S961] Find A Grave, online, above, memorial for Willis B. Adams, memorial no. 44202881, viewed on 27 Jul 2018. [S961] Find A Grave, online, above, memorial for Susan Harris McCalla Adams, memorial no. 44202872, viewed on 27 Jul 2018 (not giving the date). [S1398] The Atlanta Constitution, Atlanta, Ga., online at http://www.newspapers.com, 12 Feb 1913, p. 3, col. 3 (obituary of Colonel E. B. Adams) (stating that he died at 2:00 a.m.). [S1398] The Atlanta Constitution, Atlanta, Ga., above, 12 Feb 1913, p. 3, col. 3 (obituary of Colonel E. B. Adams) (stating that burial would be at 11:00 a.m. in Elberton without naming the cemetery). [S1398] The Atlanta Constitution, Atlanta, Ga., above, 13 Feb 1913, p. 15, col. 6 ("Last Tribute Paid Hon. Willis B. Adams). [S1398] The Atlanta Constitution, Atlanta, Ga., above, 12 Feb 1913, p. 3, col. 3. [S1398] The Atlanta Constitution, Atlanta, Ga., above, 13 Feb 1913, p. 15, col. 6. Birth*: She was born on 19 September 1861 in Abbeville County, South Carolina. Other Names*: Susan McCalla, Susan Harris McCalla Adams, Susan McCalla Adams, Susan Harris Adams, Susan Adams. [S961] Find A Grave, online at http://www.findagrave.com, memorial for Willis B. Adams, memorial no. 44202881, viewed on 27 Jul 2018. [S961] Find A Grave, online, above, memorial for Susan Harris McCalla Adams, memorial no. 44202872, viewed on 27 Jul 2018. 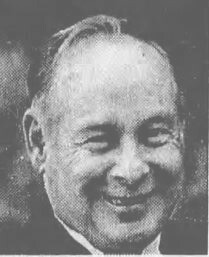 John William ("Jack") Naudain, from a 2011 newspaper. Other Names*: John William Jack Naudain, John Naudain, Jack Naudain. Note*: • He was a self employed painter and wallpaper hanger for many years, and, prior to starting his own business, was employed with Delmarva Power. • He was a member of the Harmony Grange and Red Clay Creek Presbyterian Church. He was a sports fan and enjoyed photography. • His Find A Grave memorial, which includes his piccture and a picture of his grave marker, is here. [S961] Find A Grave, online at http://www.findagrave.com, memorial for John W. "Jack" Naudain, memorial no. 70309367, viewed on 11 Aug 2018 (naming Edward Arnold Naudain as his father). [S961] Find A Grave, online, above, memorial for Edward Arnold Naudain, memorial no. 9096373, viewed on 11 Aug 2018 (naming Edward Arnold Naudain as his father). [S961] Find A Grave, online, above, memorial for John W. "Jack" Naudain, memorial no. 70309367, viewed on 11 Aug 2018 (naming Elizabeth Pyle Naudain as his mother). [S961] Find A Grave, online, above, memorial for Elizabeth Pyle Naudain, memorial no. 9096373, viewed on 11 Aug 2018 (naming Elizabeth Pyle Naudain as his mother). [S1379] The News Journal, Wilmington, Del., online at http://www.newspapers.com, 24 May 2011, p. B9 (p. 21), col. 2 (obituary for John W. ("Jack") Naudain). [S961] Find A Grave, online, above, memorial for John W. "Jack" Naudain, memorial no. 70309367, viewed on 11 Aug 2018 (giving the date but not the place). [S1379] The News Journal, Wilmington, Del., above, 24 May 2011, p. B9 (p. 21), col. 2 (obituary for John W. ("Jack") Naudain) (stating that he "peacefully passed away"). [S961] Find A Grave, online, above, memorial for John W. "Jack" Naudain, memorial no. 70309367, viewed on 11 Aug 2018. [S1379] The News Journal, Wilmington, Del., above, 24 May 2011, p. B9 (p. 21), col. 2 (obituary for John W. ("Jack") Naudain) (all bullets). Note*: • At the time of his death he had been a manager of automotive supplies at Wilco Supply Co. in Wilmington, Delaware for thirty-two years and had lived in Kennett Square, Pennsylvania since 1944. He was a member of Kennett Square Presbyterian Church and Kennett Square Golf and Country Club. His survivors included his wife, two daughters, and four grandchildren. • His BillionGraves record, which includes a picture of his tombstone (bearing an incorrect death date), is here. [S1474] Evening Journal, Wilmington, Del., online at http://www.newspapers.com, 23 Mar 1973, p. 12, cols. 3-4 (obituary for Robert S. Calhoun) (not giving the date but stating that he was sixty-three years old when he died on 22 Mar 1973). [S1258] Billion Graves, online at http://billiongraves.com, record for Robert S. Calhoun (giving the year but no other information). [S1466] Courier-Post, Camden, N.J., online at http://www.newspapers.com, 5 Oct 1936, p. 10, cols. 4-5 ("Miss Naudain . . . Among Early October Brides . . .") (stating that the ceremony took place at 2:30 p.m. with the Rev. Oliver C. Apgar, pastor of the church, officiating). [S1474] Evening Journal, Wilmington, Del., above, 23 Mar 1973, p. 12, cols. 3-4 (obituary for Robert S. Calhoun). [S1474] Evening Journal, Wilmington, Del., above, 23 Mar 1973, p. 12, cols. 3-4 (obituary for Robert S. Calhoun) (first bullet). [S1258] Billion Graves, online at http://billiongraves.com, record for Robert S. Calhoun (second bullet). [S1474] Evening Journal, Wilmington, Del., above, 23 Mar 1973, p. 12, cols. 3-4 (obituary for Robert S. Calhoun) (second bullet). • His Find A Grave memorial, which includes an obituary, is here. [S961] Find A Grave, online at http://www.findagrave.com, memorial for Tilden Hendricks White, memorial no. 107622621, viewed on 29 Jul 2018. [S961] Find A Grave, online, above, memorial for Stella M. Naudain White, memorial no. 107622642, viewed on 29 Jul 2018. Other Names*: Benjamin Simpson, Benjamin Frank Simpson, Frank Simpson. [S961] Find A Grave, online at http://www.findagrave.com, memorial for B. F. "Frank" Simpson, memorial no. 7610313, viewed on 29 Jul 2018. [S961] Find A Grave, online, above, memorial for Laura Belle Naudain Simpson, memorial no. 20152068, viewed on 29 Jul 2018. Other Names*: Lillian White, Lillian Naudain White Tully, Lillian Naudain Tully, Lillian White Tully, Lillian Tully. Her Find A Grave memorial is here. [S961] Find A Grave, online at http://www.findagrave.com, memorial for Lillian White Tully, memorial no. 76574473, viewed on 29 Jul 2018. [S1479] The Daily Oklahoman, Oklahoma City, Okla., online at http://www.newspapers.com, 16 Oct 1938, sec. C, pp. 1, 3 (pp. 47, 49) (stating that the wedding was a "simple home ceremony" without identifying whose home). [S1479] The Daily Oklahoman, Oklahoma City, Okla., online, above, 16 Oct 1938, sec. C, pp. 1, 3 (pp. 47, 49). • His Find A Grave memorial is here. [S961] Find A Grave, online at http://www.findagrave.com, memorial for John Vincent Tully, memorial no. 36184009, viewed on 29 Jul 2018. Other Names*: Annie Parham, Annie Ruth Parham Fortson, Annie Parham Fortson, Annie Ruth Fortson, Annie Fortson. • Her Find A Grave memorial, which includes pictures of her tombstone and grave site, is here. [S27] John Wright Boyd, A Family History: Lt. Thomas Fortson (1742-1824) and Some of His Descendants—Early Settler of Elbert County, Georgia (Danielsville, Ga.: Heritage Papers, 1973), p. 726. [S961] Find A Grave, online at http://www.findagrave.com, memorial for Annie Ruth Parham Fortson, memorial no. 24965740, viewed on 3 Aug 2018. [S961] Find A Grave, online, above, memorial for John Chandler Fortson, memorial no. 24965741, viewed on 3 Aug 2018.